The New Georgia Project is a nonpartisan, nonprofit group that aims to register voters and improve their civic engagement. It is an effort to register eligible individuals to vote. 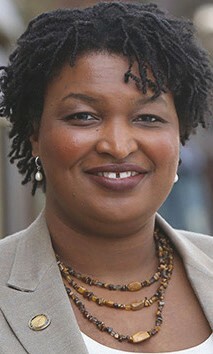 The nonpartisan group is a project of the nonprofit organization Third Sector Development, a 501(c)(3) organization founded and led by Georgia State Representative Stacey Abrams. Georgians are not fully represented at the polls. Specifically, minority populations are much less likely to be registered to vote and according to analysis based on the 2012 Census reports, there are more than 800,000 African Americans, Latinos and Asian Americans who are not registered to vote in Georgia. The New Georgia Project is focused on reaching those underrepresented communities. The goal of the New Georgia Project is to increase voter registration and engagement among the African American communities. The New Georgia Project employs a team of professionals that engage in a formalized voter registration process to ensure all outreach activities remain safe, effective, and secure. The New Georgia Project has coordinated with the Secretary of State’s office and is in compliance with all state and federal laws. For more information, please contact Kristal Swim at 404.832.7163 or Kristal@allisonpr.com.